Spatial Justice and Diaspora, edited by Emma Patchett and Sarah Keenan, has just been published by Counterpress. We are pleased to republish the following foreword by Parvathi Raman, Chair of the Centre for Migration and Diaspora Studies, SOAS. When Emma Patchett and Sarah Keenan asked if I would write a foreword for their new edited volume, Spatial Justice and Diaspora, I was delighted to be able to make a small contribution to this important and timely new book. In our current political moment, we urgently require engaged scholarship on questions of space-making, the politics of diaspora, and the racialization of inequality. Global disparity has reached unprecedented levels. Mass displacement, fuelled by wars, environmental change and the gross disparity of wealth and opportunity, along with the increasing racialization of ‘differential inclusion,’ now shape the contours of a world primarily defined by injustice. The concept of spatial justice, an approach that recognizes that always-already spatial nature of political, economic, and social struggles, can serve to highlight the conflictual and often violent nature of co-existence in an inequitable world. It has the potential to provide a powerful lens for empirical analysis, and can act as an instrument for political change. In turn, as struggles for meaningful political and social inclusion proliferate, a radical politics of diaspora opens up the possibility of undermining hegemonic borders of political (un)belonging, and can challenge the exclusionary, and power laden, practices of the neoliberal state. When the concepts of spatial justice and diaspora are brought into conversation with each other, and interrogated through a focus on the empirical, they can offer new insights into the micro-politics of everyday existence. Such engagement requires the type of politically committed, innovative academic scholarship to be found in this edited volume. 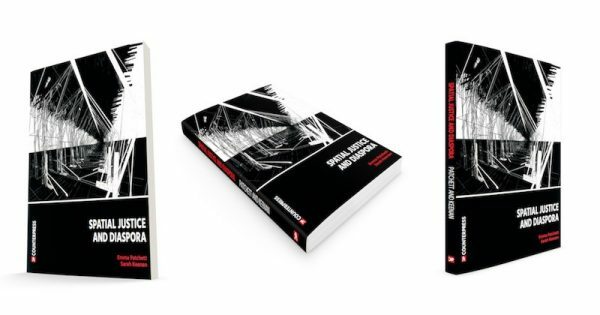 The book brings together thought provoking approaches to spatial justice (as the conception of, the struggle over, and the use of space) and diaspora (as a progressive potential to disrupt hegemonic and exclusionary political orders) with empirical studies of communities who are contesting space in contexts as varied as Chile, Germany, South Africa, Guantanamo Bay, and Britain. Neoliberal democracy, the dominant political framework of our times, is in crisis. One of its core characteristics, the relationship between the state and the market, is not functional for the vast majority of people. We are witnessing intensified inequalities and social polarization, which starkly illustrate the limits of capital accumulation coupled with state-market relations. What is required of academics at this time is both evidence making research, and political critique, which holds power to account, but also illuminates the multiple ways that people are fighting for justice and democratic inclusion. Both are abundantly apparent in this impressive volume. Another reason I was pleased to contribute this foreword is the nature of the scholarship which is evident throughout the book. Traversing the disciplinary boundaries of law, politics, anthropology, and the broader social sciences, the authors engage with an open ended, contextual enquiry which evokes Susan Buck-Morss’ idea of ‘undisciplinarity.’1 For me, the call to be ‘undisciplined’ is both a way of exceeding the limits of disciplinary borders, and a refusal to conform to the requirements of neoliberal academia. It can open up new possibilities for radical research. Undisciplinarity means challenging the demands of an increasingly policy oriented and ‘problem solving’ academic landscape; confronting the idea of ‘impartial’ research; and upsetting notions of pragmatic, seemingly non-ideological results-measured solutions to complex problems. It requires a recognition of the conflictual nature of academic labour, which can generate a productive politics of discomfort, and act as a call to action. In this volume, such an approach is skilfully interlinked with the perceptive use of radical theoretical paradigms. Academic approaches to issues of space and diaspora have generated some of the most exciting innovations in thinking in recent years, as well as many indulgent and abstract exercises which serve to reinforce academic privilege. This volume transcends the multicultural/hybridity limitations of much writing on space and diaspora. Here, the contributions pioneered by authors such as Massey, Harvey, and Soja on space, as well as Hall, Clifford, and Brah on diaspora, are utilized both incisively and creatively. It is scholarship that seeks to collapse the false distinction between academia and activism; as is evident in the following pages, knowledge production is always a form of political action. Without doubt, ethnography has now moved beyond its anthropological ‘home.’ The ethnographic studies in this volume provide both a sensitivity to context, and act as political critique. They illuminate the everyday arts of space making and diasporic resistance, at a time when our institutions are increasingly dysfunctional, and the state’s norms of control are, at once, less powerful, and more pernicious. The studies deftly illustrate the ways in which people attempt to escape the everyday governance of the state, and the ‘normalizing force’ of state power. The micro-politics of our everyday lives can often be hidden from view, giving the impression of monolithic institutions which render us powerless. But by giving centre stage to the creative art of people’s everyday socio-political space-making and diasporic practices, we can highlight not only how contemporary governance can be challenged, but can also be escaped, and on occasion, overturned. The vocabularies we use can render things visible. And visibility has the potential to open up the agency present in all of us. It confronts the notion that we are powerless to bring change to an unequal world. As Lefebvre has highlighted, we make space, and construct our own geographies. It is therefore also our responsibility to make an intervention in space making and diasporic practices, and help render them more just. This volume is a valuable contribution to that wider struggle. It reflects genuine conceptual innovation in the fields of spatial justice and diaspora, and contributes to an understanding which is both transformative and productive. It is the work of a group young scholars who are making their intervention for change. Spatial Justice and Diaspora is available in paperback from online book stores and as an e-book from Counterpress with multiple access possibilities, including ‘fair access’. I read this article and found it very interesting, thought it might be something for you. 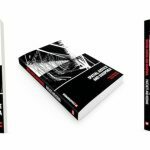 The article is called Spatial Justice and Diaspora: Foreword by Parvathi Raman and is located at http://criticallegalthinking.com/2017/01/17/spatial-justice-diaspora-foreword-parvathi-raman/.